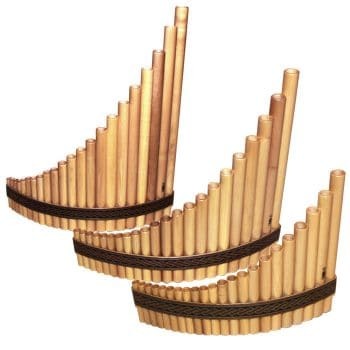 These wooden panflutes are made by Gibonus and imported from Poland. 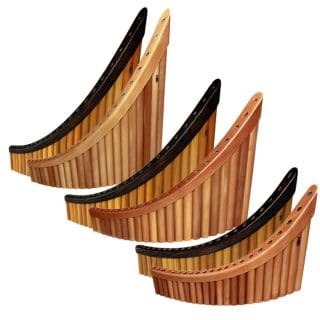 They are not just budget-friendly; the maple and cherry wood are strong and have a warm sound. The pipes are sealed with plastic corks that do not dry out like natural cork, and they are very user-friendly when tuning. 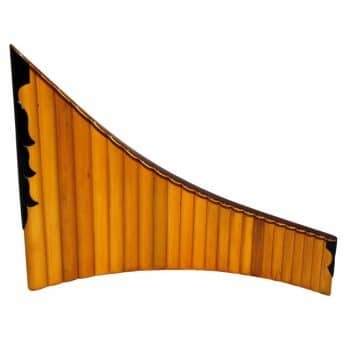 That is why these instruments are very well suited to beginning players and those who are looking for an extra instrument in a different range (e.g. bass) or tuning. Beautifully finished Amazon bamboo panflutes from Lima, Peru. The shoe has been crafted from different types of wood, resulting in beautiful colour variations. The lowest pipe is embellished with a wooden ‘flame’. The material is rather thick, giving it a breathy sound, though still strong and flexible in colour. We currently have a limited number of these panflutes in stock, which means they can be tried at our visiting address. 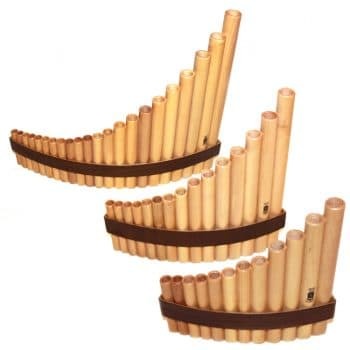 It is also possible to try out a sub bass Q’Awary panflute, a privately owned instrument but a good prototype of what could be custom-built for you. The Amazon bamboo flutes can be custom built in any range and tuning. Delivery times and costs on request.